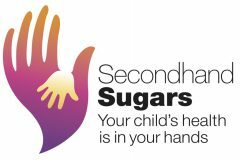 Let’s improve the health of the next generation by creating a lower-sugar environment for infants and children. Children today are being raised in a high-sugar environment, creating risk for obesity, chronic diseases like diabetes, and behavioral and learning problems. As parents and as a society, it can be difficult to know where to begin to help prevent these outcomes for our children. As scientists and public health advocates, we are here to raise awareness about the most recent research related to sugars and childhood development. And as educators who are also parents, we hope to share some practical solutions that have worked for us firsthand. Please join us and share your experiences, too. At right you can click to connect via Twitter, Facebook, or our blog. Feel free to contact us by e-mail as well. Note: For Dr. Goran’s academic website, click here.